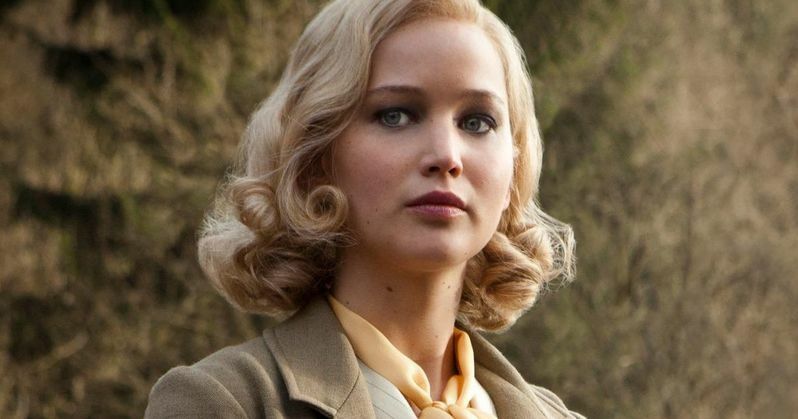 Following the international trailer that debuted last month, Magnolia Pictures has released two domestic trailers for Serena, the third feature collaboration of Jennifer Lawrence and Bradley Cooper following Silver Linings Playbook and American Hustle. The story centers on Serena (Jennifer Lawrence) and George Pemberton (Bradley Cooper), who build their own timber empire from the ground up at the end of the 1920s. Serena soon proves herself to be equal to any man: overseeing loggers, hunting rattle-snakes, even saving a man's life in the wilderness. With power and influence now in their hands, the Pembertons refuse to let anyone stand in the way of their inflated love and ambitions. However, once Serena discovers George's hidden past and faces an unchangeable fate of her own, the Pemberton's passionate marriage begins to unravel leading toward a dramatic reckoning. Directed by Susanne Bier, Serena co-stars Rhys Ifans, Toby Jones and Charity Wakefield, arriving in theaters February 26, 2015.